Dutch health insurance premiums and provisions fluctuate every year so it is definitely worthwhile checking whether your current insurance policy still suits your needs and your budget. The end of the year is the time when Dutch health insurance companies go all out to attract new customers with tempting offers and special deals. 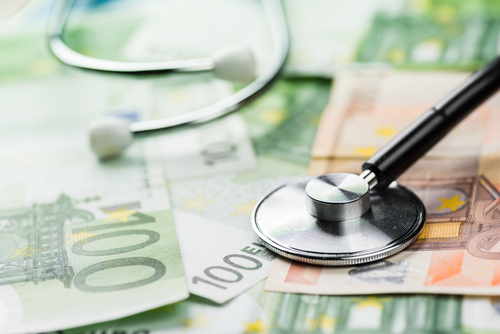 In fact, the difference between the cheapest and most expensive health insurance policies on offer in the Netherlands will go up to over € 250 euro in 2017, according to ZorgWijzer.nl. So shopping around can cut your health insurance bill by a tidy sum. However, price is not the only thing you should take into consideration when comparing health insurances. Chances are your current policy does not meet your specific needs or wishes anymore. For example, why should you cover yourself for maternity care or orthodontics when your children have already left the family home? This all may sound easy, but there are so many different types of policy, benefits and brands which should be taken into account when looking for a new insurance company that many people just give up. Fortunately, ZorgWijzer.nl offers an English health insurance comparison tool which will make this whole process a lot easier. You will find out that signing up with another health insurance provider may often prove to be beneficial. Like every year, the government has made some changes to health insurance (zorgverzekering) in 2017. The average Dutch health insurance policy will cost around €95 more next year, or around €8 a month. People on low incomes are often entitled to financial aid (zorgtoeslag) from the government which will probably offset next year’s premium hikes. Families with average to high incomes, however, are the ones who have to pay the price. This makes shopping around for a cheaper deal an even more sensible option. Fortunately, the mandatory excess (eigen risico) of €385 remains the same in 2017. Several political parties want to reduce the excess or even scrap it altogether, but that won’t be an issue until after the March general election. Now is the time to switch if you are unhappy with the service, monthly premium or cover that you insurance company provides. Luckily though, switching is easy and can usually be done in less than 15 minutes. When you switch within the six-week changing period (November and December), your new health insurance company will make sure your previous policy is cancelled. This is an automatic process so you don’t have to do anything yourself. If you are thinking about switching your health insurance, you may want to check ZorgWijzer.nl. This site offers several English guides and an English tool that will help you find new, suitable and affordable health insurance for 2017.